In Little Havana, a popular restaurant that once hosted the late President Ronald Reagan for a Cuban coffee visit will soon become a retail and parking project. Nearby, developer J. Milton plans a new apartment complex as rents rise. These developments and more, reinforced by the launch of the new rental project InTown, mark continued investment in the Miami neighborhood. Once a largely overlooked area, deep-pocketed investors are increasingly picking up commercial sites that have not yet been redeveloped, buyers and brokers told The Real Deal. In late June, a 25,000-square-foot development site at 140 Northwest Eighth Avenue sold for $2.25 million, or about $90 per square foot, commercial broker Carlos Fausto Miranda said. Property records show the buyer is River Border Development LLC, a Coral Gables-based entity controlled by Gilbert Contreras, who has been developing small-scale multifamily projects in Little Havana. It’s one of a steady stream of deals in Little Havana and surrounding areas. At 2055 Southwest Eighth Street, a group of investors that includes David, Daniel and Brian Lombardi of Lombardi Properties and Jared Brunnabend of Bayshore Investment Partners in June paid $3.1 million for a 20,250-square-foot property. The site currently houses a nearly 7,300-square-foot retail strip with parking. The land traded for $153 per square foot. It was on the market for $3.2 million with Miranda, broker and president of Fausto Commercial Realty Consultants, according to his website. The property, which will eventually be redeveloped, is across the Eighth Street from InTown, a newly completed luxury apartment complex that sold in November for $89 million. 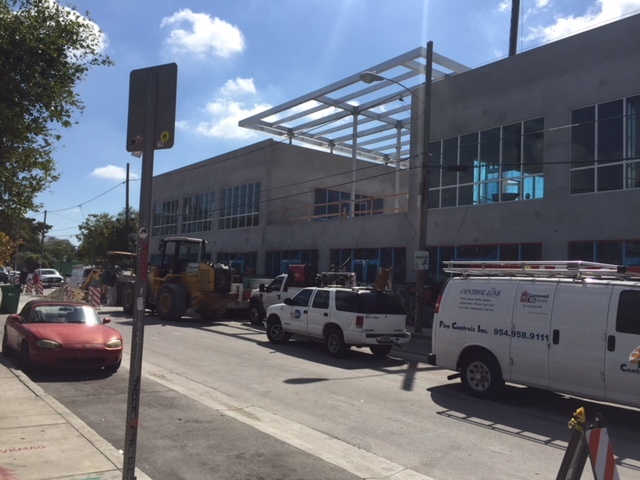 Lombardi, an early investor in Wynwood, plans to make improvements to the shopping strip and bring in new tenants over the next couple of years. It’s the first partnership for the firm and Bayshore Investment Partners, the latter of which has traditionally focused on multifamily investment in Florida. “We think the demographics of Calle Ocho are getting a little younger and the services traditionally offered don’t meet the current demographic,” Daniel Lombardi told TRD. Rents at InTown, which developer Henry Torres sold to Greystar, start at roughly $2,300 a month for a two-bedroom, a leasing agent said on Tuesday. A two-bedroom in Little Havana asks on average $1,650 a month, according to a recent RentHop report. Lombardi is part of the group of early Wynwood investors who began acquiring properties and turning them into adaptive reuse projects starting in the early 2000s, eventually acquiring nearly 6 acres of Wynwood land, including the Wynwood Yard. Lombardi said the company isn’t under contract to purchase more land in Little Havana, but is actively looking for more opportunities. “It’s been hard for us to find deals that make sense,” he said, citing sky-high prices. Other recent sales include the $1.7 million sale of a corner retail building in East Little Havana. The 11,130-square-foot building at 101 Southwest 12th Avenue is the former site of Juanito’s Esquina de Tejas, the restaurant that once hosted a guayabera-clad Reagan for a cafecito. The buyer plans to redevelop the nearly 13,000-square-foot property with national tenants on the ground floor and a parking ramp and garage on the second floor, Miranda said. Records show the Schmalts Group, a Providence, Rhode Island-based LLC, is the buyer. David Malkin, a real estate investor based in Providence, Sharon Strassfield of Massachusetts, and Richard Shuster of New York-based Boston Partners, manage the company. Year-to-date, Miranda has closed about $20 million of deals in Little Havana, where his company is based. Two apartment buildings with a combined 11 units at 550 and 570 Southwest Seventh Street sold to a Venezuelan development group for $1.7 million, or $113 per square foot, in June, Miranda said. Guanche 4105 Inc., which is managed by Arturo Ortega of Brickell, is the buyer, property records show. The neighborhood is seeing a number of small-scale retail and multifamily projects. Retail rents are higher on Calle Ocho between 13th and 17th avenues, with rates ranging there from $30 to $45 per square foot, triple net. Within Little Havana, they range from $20 per square foot to $30 per foot, Miranda said. “We’re building on trends that started years ago, with a better mix of national and also local home-grown retails tenants,” he said. But the area is “starved for middle-income housing,” he said. In addition to InTown, multifamily developer J. Milton & Associates is moving forward with its plans for a 12-story apartment building at 1000 Northwest Seventh Street near Marlins Park and the Miami River.